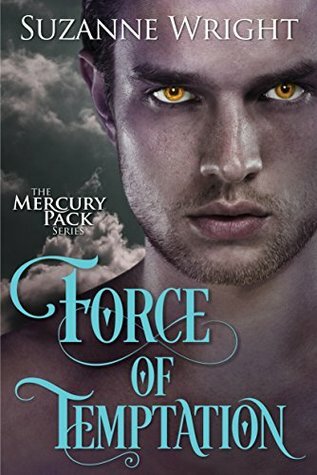 I really love Ms. Wright’s shifter romances but I could not finish the previous book she released before this one because for some reason, the characters felt like carbon copies of others from previous books. For that reason, I was kind of hesitant to read this one, too. But guess what? I had no such issues with this one and I really enjoyed it, so much that I’m now going to go back and finish the other book. FORCE OF TEMPTATION is classic Suzanne Wright – a really enjoyable story filled with humor, passion and great characters, and hard to put down until the end. I do recommend reading the Phoenix Pack series or at least the last two books in that series before starting this series, to get more background on most of the characters in this book. Harley Vincent is half-shifter, half-human, not completely comfortable in either world, but after growing up without any roots in the shifter world, she likes the freedom living among humans gives her. At least until she becomes a target of extremists out to destroy shifters and even more in her case, out for her because of her father’s alleged role in the shifter group working against the extremists. Jesse Dalton was the brooding, quiet enforcer from previous books but wow, he was hiding a whole lot under that. He’s totally over the top in every way- very blunt, possessive and protective and will go to great lengths for those he cares about. He claimed Harley for his own a long time ago and the threats against her mean that he can stop keeping an eye on her from afar and bring her into his life for good. Harley is just perfect for Jesse. She’s fierce, independent, alpha in her own right and has a mouth that won’t quit, but lacks the patience for drama or head games. Both Jesse and Harley come with baggage but I liked that they knew what they wanted and went for it sans the drama. The author has expanded with this book by introducing new elements to the story, which I was apprehensive about but ended up liking a lot. As usual, the secondary characters are just as much fun as the main characters and it was great to keep up with their lives here. This is one author’s work I don’t hesitate to recommend because there’s always something to love.